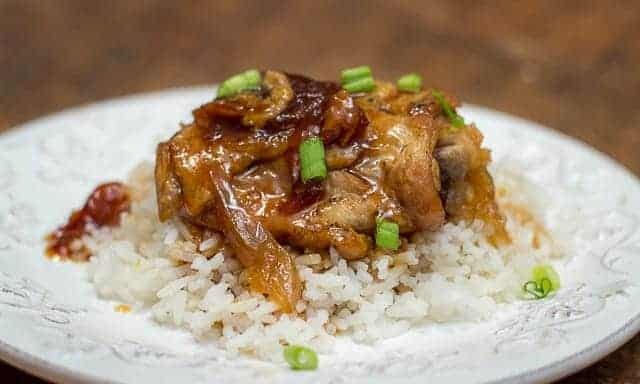 Chicken Adobo is a traditional Filipino comfort food, and it’s super easy to make in a Cosori Pressure Cooker. I was sent a Cosori Premium 6 quart Pressure Cooker to review, and compensated for my time, but all opinions in this piece are my own. THE WINNER HAS BEEN CHOSEN AND NOTIFIED! THANK YOU to EVERYONE WHO ENTERED!! I’m so excited to have this opportunity to not only review the Cosori Premium 6 Quart Pressure Cooker, but also, to give one away to one my readers! The nice folks at Cosori contacted me, and asked if I’d like to review one of their pressure cookers. Having never used a pressure cooker before, and knowing that they are one of this year’s most popular Christmas presents, I was eager to do so. I hadn’t jumped on the “instant” cooker bandwagon before, because frankly, pressure cookers kind of scared me when I was a kid. My mom had one she used every once in a while, and I think I might have gotten PTSD from watching that jiggly thing on the top dance around like the pot was about to blow up. Meanwhile Mom would tentatively jab at it with a fork, trying to lift it, in order to release the pressure, as torrents of jet-propelled steam shot up to the ceiling. But to my delight, after some initial trepidation, I’ve discovered that this particular pressure cooker isn’t scary at all! In fact, Cosori seems to have worked really hard to make it safe, user-friendly, and approachable. So that even someone like me, with Pressure Cooker PTSD, can use it with confidence. After using it with several different types of recipes, I’ve only grown even more curious to try some of the other functions. This little baby is NOT scary at all! “Other functions?” you ask. Why, yes! They don’t call it an 8-in-1 Multifunctional Programmable Pressure Cooker for nothing! It also can be used as a Rice Cooker, a Slow Cooker, a Fondue Maker, a Yogurt Maker, for Sautéing, and as a Hot Pot. One of the things that, I think, makes it user-friendly as a pressure cooker, is that it has a bunch of already programmed settings to help take the guess work out of how long and at what pressure you cook something. Those programmed settings include one for Meat/Stew, Poultry, Soup, Beans/Chili, Multigrains, Steam/Vegetables, Steam/Potatoes. It also has settings for very specific tasks, like Slow Cook, Yogurt, Pasta/Boil, Hot Pot, Sauté/Brown, Bake, and Reheat. It’s amazing what you can do in this one device! 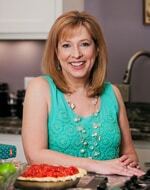 I thought I’d start by sharing with you what I’ve learned about pressure cooking, in general. I think it has its pros and cons. 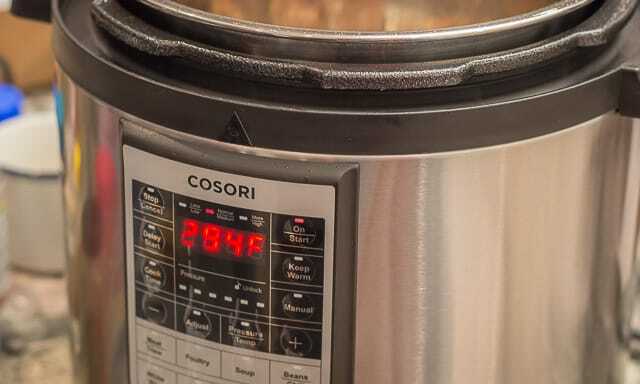 Then, to get more specific, I’ll share with you what I like about the Cosori Premium 6-Quart Pressure Cooker, and the ways in which I anticipate that I’ll be using it in the future. 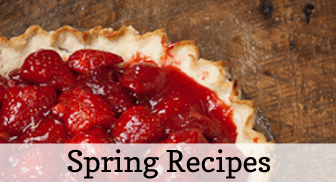 And just so that I’ve got a little something for everyone, I thought I’d share the recipe that I liked the best, among the ones I’ve tried so far. That way, even if you already have your own pressure cooker, and don’t need to enter my giveaway, there’s something for you, too! I think calling this kind of pot something with the word “instant” in it is terribly misleading. 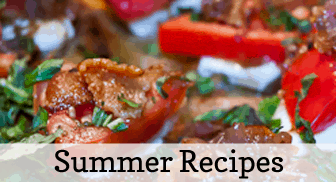 Pressure cookers work best for foods that you expect or want to be tender. In that respect, they’re a lot like slow cookers. 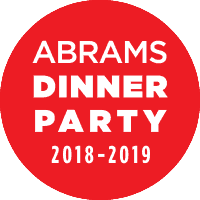 So, soups, beans, chicken, ribs, stews, stocks/broths, rices/risotto, steel cut oatmeal or “overnight” oatmeal: all those types of soft, tender dishes will turn out WELL in a pressure cooker. And they’ll be done much faster than they would have been in your slow cooker. But what pressure cooking does NOT excel at is making anything crisp or crunchy. So when a recipe requires you to brown the meat, you can certainly do that in a pressure cooker, assuming it has a sauté function. But don’t hope that that crispy chicken skin you’ve just developed is going to stay crispy through a pressure cooking finish, because it won’t. It will retain the brown color (and that’s flavor you don’t want to lose) but the skin will go…and I hate to say this…limp. It’s going to wilt under the pressurized steam. So, you might want to use skinless chicken, instead, if soft chicken skin is not your favorite. (Or give it to your doggie – who will thank you most lavishly. ) I ate my soft chicken skin on the recipe I’m going to share with you later in this post, and I enjoyed it thoroughly. But I _am_ just trying to give you the facts. To be perfectly honest, in regard to the pressurized cooking functions, I think the most accurate way to think of a pressure cooker, is as a REALLY FAST Slow Cooker. This means that if you like your slow cooker, you’re probably going to LOVE a pressure cooker. 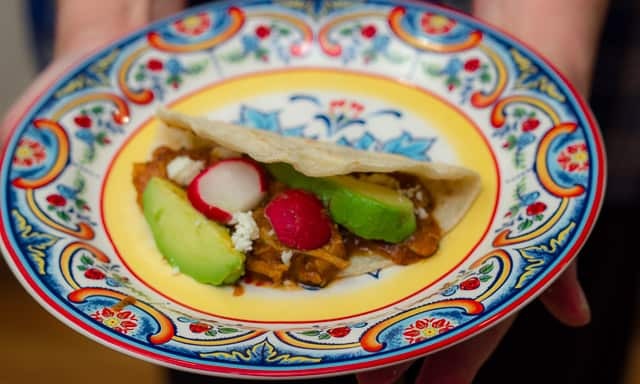 This recipe, Tinga de Polllo, which is already on my blog, turned out very well when I modified it slightly to use in the Cosori Pressure Cooker. Since the Cosori Premium Pressure Cooker doesn’t ONLY do pressurized cooking (as I mentioned earlier, you can reheat foods, use it as a brown or white rice cooker, make yogurt in it, sauté in it, and steam foods in it), it really is kind of a wonderful kitchen appliance. 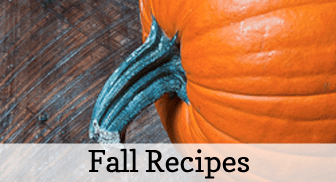 I’ve got recipes in my head that I’m really looking forward to trying in it, that I haven’t even gotten to yet! A recipe that’s already on this blog, that I tried using this pressure cooker was my Tinga de Pollo (Shredded Chicken Tacos) recipe, and it turned out really well. I also think my Brazilian Black Beans and Rice recipe – also known as Feijoada – would work really well in a pressure cooker. 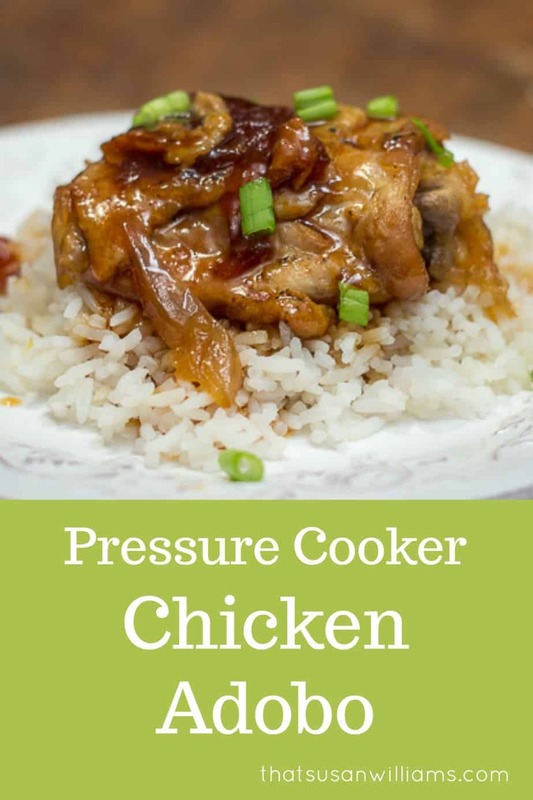 One reason why pressure cooking is a challenge to me is that over the years, while teaching myself to cook, I’ve grown to rely on my senses of sight, smell, and taste as the cooking process goes along. I have learned to rely less on the safety rails of recipe times and temperatures, and more on trusting what my senses are telling me. ( As in: “Sure, that recipe doesn’t call for sugar, but to balance the very acidic flavor I’m tasting, I’ll add a touch of honey.” “Sure, the recipe says to bake those cookies for 10 minutes, but they’re smelling cookie-like at 8 minutes: take them out early.” “Sure, that recipe says to brown the chicken for 7 minutes, but the chicken doesn’t really have the golden color I like: I’m going to leave it in a couple more minutes.”) So the downside of pressure cooking is that you have to TRUST the recipe, because the food is sealed off from your being able to see, smell, or taste it, while it’s under pressure. I cooked these pinto beans when I tried a friend’s soup recipe. Cutting down on the cooking time for beans is a major reason I love this pressure cooker. That’s why I think it will be a good idea for any cook new to pressure cooking to take notes, as you try various recipes. How long did those beans *really* take to cook? 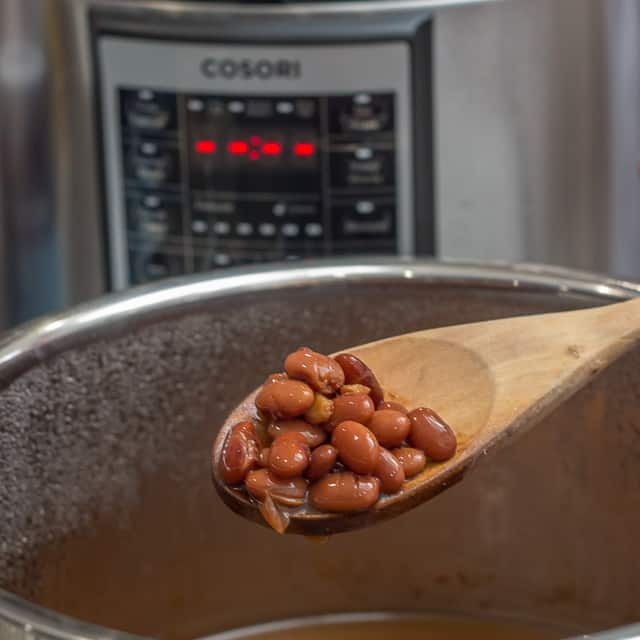 If something ends up being under or overcooked, there are all kinds of variables to take into consideration with something as simple as a pot of beans! What variety of beans are you cooking? How long have those dried beans been sitting in your pantry? (Older beans take longer to cook.) How much liquid did the recipe call for? How full was your pot? But the more you use your pressure cooker, the more confidence and understanding of how it functions, and how it can be a real asset you’ll gain. 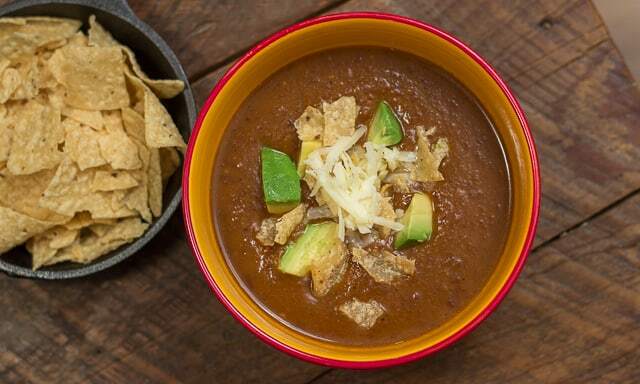 I used my friend Tig’s recipe for Tarascan Soup, a soup of puréed pinto beans and tomatoes. In regard to this particular pressure cooker, the Cosori Premium 6 qt. Multifunctional Pressure Cooker, I really liked the weight of the pot insert. It had a weight and a heft to it that surprised me, reminding me of higher grade pots and pans, the ones that do a great job of evenly browning whatever you’re sautéing. It felt…substantial. It also felt safe. There’s a bit of a learning curve to using it, but as long as you read the manual, and follow the directions, it’s actually quite easy to pick up on how to use it. To be extra safe, when a recipe calls for me to release the pressure early, I simply wear one of those pot holders that is shaped like a mitt as I’m sliding the pressure release valve. But you could easily use a tea towel to shield your fingers, if that’s what you have. I love that there’s a yogurt making function, and I can’t wait to use it! When I lived in Switzerland, we had a yogurt maker that we used regularly, for making yogurt to mix with our granola, in a dish called bircher muesli, that was my favorite breakfast. I also like the fact that this Cosori has a Delay Start function on it, enabling you program it to start and stop, even when you’re away, at work. I liked the little beep tones it makes, to tell you it’s functioning properly. Call me a “beep snob”, but I have one kitchen appliance whose timer beeper tone is OBNOXIOUS! I’ve lived with it for years, and still haven’t gotten to the place where it doesn’t make feel irritated. The beeps on the Cosori are happy little beeps, that make me feel like I’m doing a good job. I can truthfully say that I’ve enjoyed the learning curve, and can see how I’m likely to enjoy using it a lot more, in the future. Lots of my friends use their pressure cooker/multifunctional machines for things like hard boiled eggs, which they, apparently, eat a lot of. I don’t, but I understand this is one function that they do very well. I liked this one so much I made it two nights in a row, because it was super easy, and delicious. Chicken Adobo is a traditional Filipino recipe, and made in the Premium 6-qt.Cosori Pressure Cooker, it turned out great, fast. 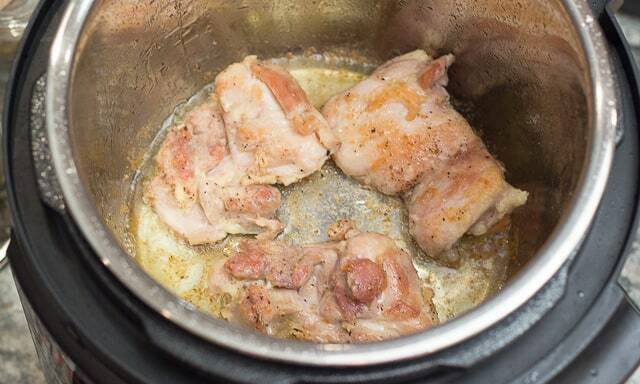 I sautéd the chicken thighs in the Cosori Pressure Cooker, using the Sauté function. And after the thighs and the sauce ingredients had cooked under pressure, I used the Sauté function again, to reduce the sauce, to make it thicker. Chicken Adobo is Filipino comfort food, and using a pressure cooker makes it even easier. These directions are written for a Cosori Premium 6-qt. Pressure Cooker. Season the chicken thighs generously with salt and pepper. Press the "Sauté/Brown" function; then press Adjust to More/High, followed by the Start Button. Add the oil to to the pot. Once the oil is shimmering, add the chicken, and sauté in two batches, approximately 7 minutes, or until golden. Remove browned chicken to a plate. Repeat with 2nd batch. (I found I could brown up to 3 thighs at a time, but not four. So, I just browned 2 in each batch.) 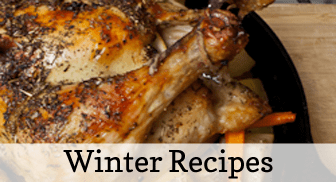 Return all chicken to the multi-cooker, and add the soy sauce, sugar, vinegar, garlic, bay leaves, onion, and red pepper flakes. Secure the lid on the pressure cooker. Select the "Poultry" function button, followed by the "Start" button. Once cooking is done, release the pressure immediately, and let it fully release before opening the container. Turn the cooker back to the "Sauté" setting. Let the sauce come to a boil, and reduce it until it is dark brown, and beautifully fragrant. This could take 15-20 minutes. Remove the bay leaves. Place each chicken thigh atop a plated serving of jasmine rice. Ladle more of the sauce over top, and sprinkle with green onions. Would you like the chance to win a Cosori Premium 6-Quart Pressure Cooker? The wonderful folks at Cosori have agreed to conduct this giveaway for my readers!!! (You have no idea how excited I am that they’re doing this!!!) Leave your name and email address ON THE PAGE AT THIS LINK . I’ll draw a winner on Dec. 15th!!! So, stay tuned! 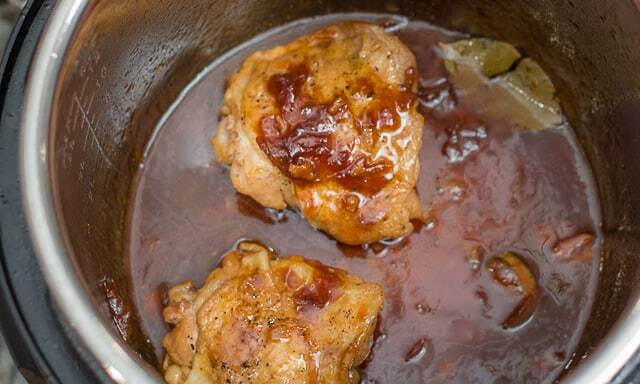 Chicken Adobo is a traditional Filipino recipe. Here, I’ve updated it a bit by preparing it in a pressure cooker. Please share this on Pinterest! THE WINNER of the GIVEAWAY HAS BEEN CHOSEN AND NOTIFIED! THANK YOU to EVERYONE WHO ENTERED! !